Japan Style covered ramen related articles several times in the past, but here is another interesting article, which shows change in Japanese girls’ attitude toward a date at ramen place. However, according to this article, more and more Japanese ladies now have very positive image toward a date at ramen places. 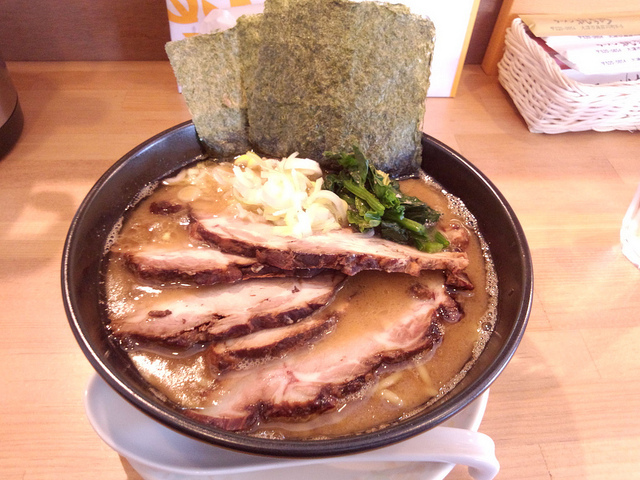 A survey, conducted with 1000 males and females live in Kanto, Kansai, Kyushu and Tohoku regions, shows that about 52.4% of respondents are happy with ramen restaurant date, and 30.7% was relatively positive toward the idea. So, total of approx. 83% was at least positive to have a bowl of ramen with a date. But what we have to know here is breakdown between man and woman. Surprisingly, those female showed positive thinking toward ramen date was actually 88.5% of all females respondents while ramen date supporting male were 75.6% of all male. In other words, this result shows that more Japanese ladies are happy with a date at ramen restaurant than gents. This is quite interesting～. So, boys, if you are constantly in pain to find a appealing destination for your date, no worries anymore! 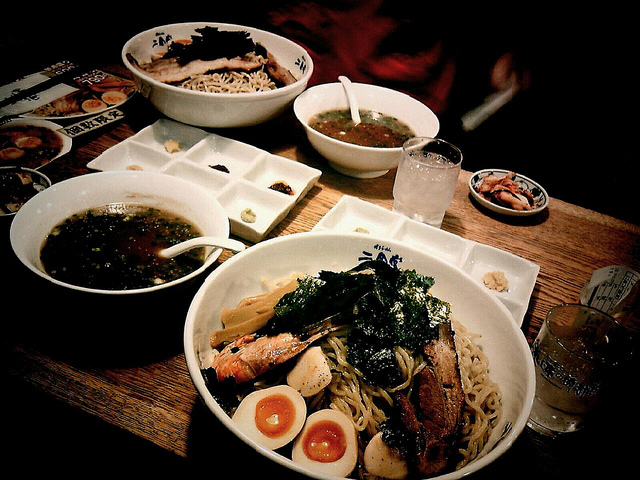 The article also indicated that people who support ramen date believe tastiness of ramen is the most important element for ramen date although nice and clean atmosphere and welcoming interior decoration are also important. I see. I feel like I can sort of see women’s hidden passion for ramen!